German raider Kormoran. Australian War Memorial 053867. Battle of the Indian Ocean: Some people question whether World War II was actually a "world" war due to lack of military action in certain areas. The events of 19 November 1941 prove conclusively that major military actions took place in the Indian Ocean (there were many others). 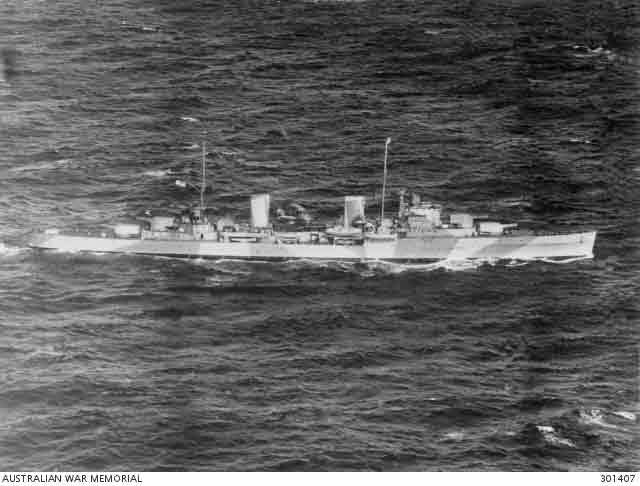 The sea duel between German raider Kormoran and Australian light cruiser HMAS Sydney just off the west coast of Australia was one of the most devastating events in the entire history of the Royal Navy, let alone World War II, and its repercussions continue well into the 21st Century. Starboard side view of the cruiser HMAS Sydney (D48), August 1941. Australian War Memorial 301407. 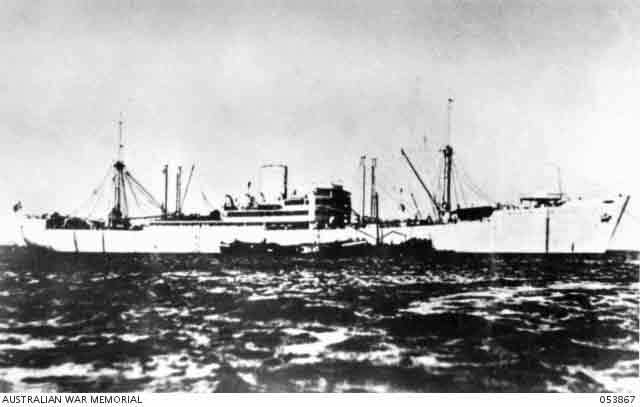 German converted auxiliary cruiser Kormoran (HSK-8, Fregattenkapitän (Commander) Theodor Detmers) is nearing the end of a year-long cruise primarily in the Indian Ocean on 19 November 1941when it is sighted by the Sydney (D48, sometimes referred to as Syndey II, Captain Joseph Burnett) roughly 106 nautical miles (196 km; 122 mi) off Dirk Hartog Island (southwest of Carnarvon). Detmers tries to flee, but the Kormoran has temporary engine issues and, in any event, cannot outrun the faster cruiser. The Kormoran is disguised as the Dutch freighter Straat Malakka, which is known to be operating in these waters, but Detmers knows that this disguise cannot withstand scrutiny. After some inconclusive back-and-forth between the two ships that arouses his interest enough to investigate further, Captain Burnett follows standing Admiralty orders to seize all suspected enemy merchantmen and approaches the Kormoran and stops approximately 1,300 meters (4,300 ft) from Kormoran. "Men of No. 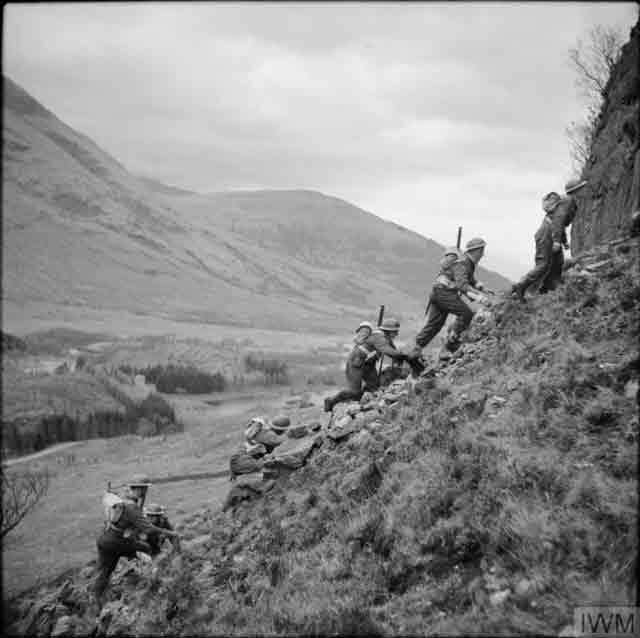 1 Commando scrambling up a hillside during training at Glencoe in Scotland, 19 November 1941." © IWM (H 15661). From this point forward, events are disputed. The official and most accepted version, supported by the overwhelming preponderance of the evidence, is that at around 17:30, in response to a Sydney signal to "Show your secret sign" (which Detmers did not know), the Kormoran suddenly runs up its Kriegsmarine ensign. A gun battle immediately breaks out. Detmers' crew has had the advantage of knowing that they may have to open fire and thus has the Sydney targeted, while it is unclear what Sydney's crew was thinking. The Kormoran's crew drops the false hull plates hiding its 5.9-inch (15-cm) guns, raises other guns on hydraulic lifts, and launches two torpedoes. Sydney's crew opens fire at roughly the same time. "A soldier from No. 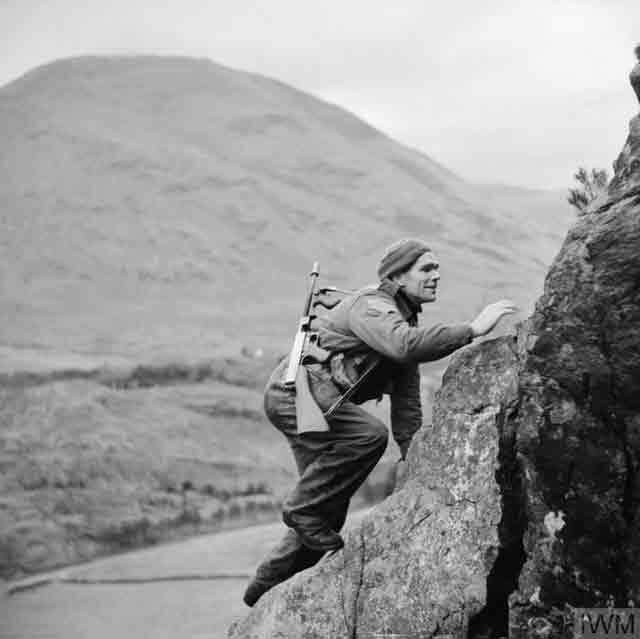 1 Commando, armed with a 'Tommy gun', climbs up a steep rock face during training at Glencoe in Scotland, 19 November 1941." © IWM (H 15667). The battle lasts for roughly half an hour. The Kormoran's fire is more accurate and quickly smashes Sydney's bridge and disables some of its 6-inch (152 mm) main guns. In addition, at least one of Kormoran's torpedoes hits Sydney near the bow and assures that it will sink. Sydney's fire, while ineffective at defending the ship, scores enough hits to disable Kormoran and assure that it will sink as well. With Korman unable to follow, Sydney sails away at a very slow speed in a cloud of smoke, with Kormoran's crew continue to score some hits. Both ships sink at around midnight, though nobody is exactly when Sydney goes under. 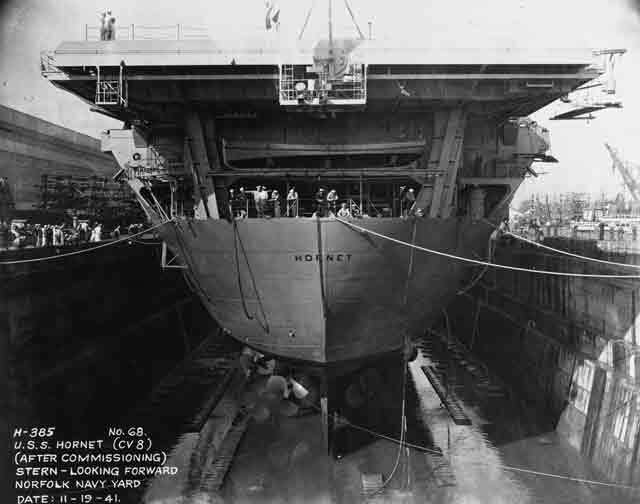 USS Hornet (CV-8) in drydock after its commissioning at Norfolk Navy Yard, Portsmouth, Virginia, 19 November 1941. While Kormoran sinks, it suffers much less damage than Sydney and its crew is able to abandon ship about a half hour before it explodes in a fireball due to exploding mines that it is carrying. There are 317 survivors, including Detmers, and total Kormoran casualties are six officers, 75 German sailors, and one Chinese laundryman. The survivors are picked up over the next week by Australian ships and land patrols after two of the lifeboats make landfall at a sheep station at 17-Mile Well and Red Bluff. There is not a single survivor of the Australian cruiser and only a very few remnants (some disputed as being from Sydney at all). A total of 645 men perish on Sydney, making it the largest loss of life in the history of the Royal Australian Navy and the largest Allied warship lost with all hands during World War II. The 645 lives lost represent over 35% of all RAN personnel killed during World War II. 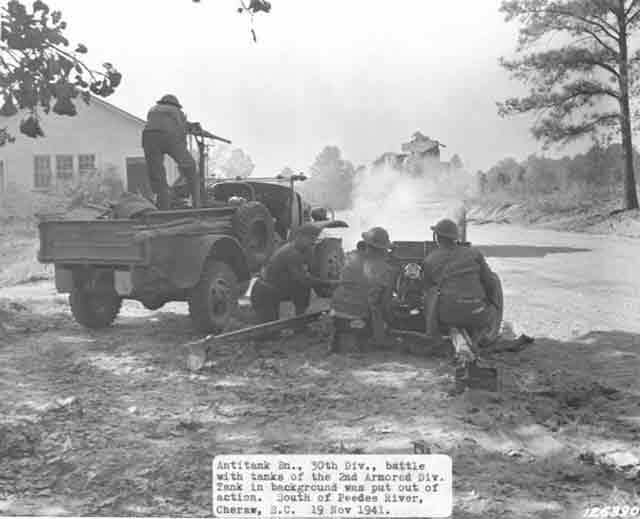 WC-4 truck and 37 mm Gun M3 of US 30th Division in exercise south of Peedee River, Cheraw, South Carolina, 19 November 1941. While the Kriegsmarine learns about the Kormoran's loss fairly quickly, it is unable to turn the sinking of Sydney into an immediate propaganda coup because nobody is sure what happened to the ship. Australian Prime Minister John Curtin finally announces the cruiser's loss on 30 November 1941, but there are few details to share. While in prison camps, the entire crew of Kormoran receives decorations, with Detmers being awarded the Knight's Cross of the Iron Cross (Ritterkreuz), three others being awarded the Iron Cross First Class, and the remainder of the crew receiving the Iron Cross Second Class. 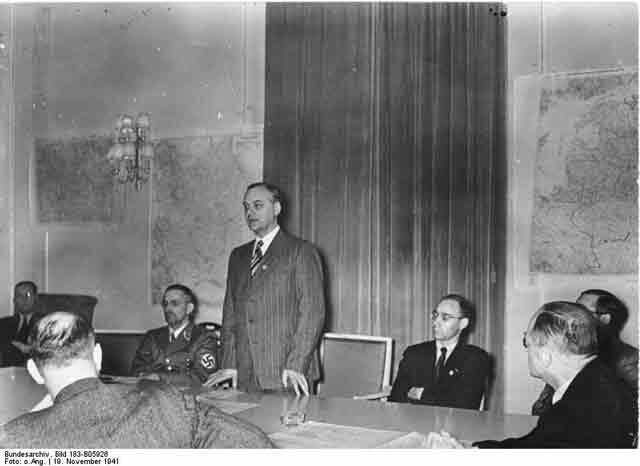 Alfred Rosenberg, Leader of the Foreign Policy Office of the NSDAP, giving a press conference on 19 November 1941 upon his official appointment as Reich Minister for the Occupied Eastern Territories. 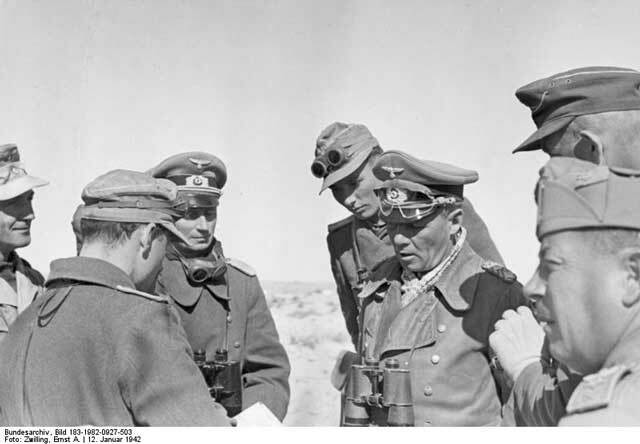 Also visible are (to his left) Gauleiter Alfred Meyer, Rosenberg's permanent deputy, and (to his right) R. Hauptschriftleiter Weiss, head of the Association of German Press (Federal Archive Picture 183-B05926). Sydney's story does not end during World War II despite its sinking. It eventually enters a twilight zone of conjecture, conspiracy theories, paranoia, and outright fiction which finally is contradicted by tangible evidence after the wreck is located in March 2008. There are many unanswered questions, including the possible recovery of the remains of a temporary Sydney survivor after they washed ashore on Christmas Island in February 1942. There are many memorials to the crews of Sydney and Kormoran, the most prominent being one for Sydney's crew on Mount Scott at Geraldton, Australia and one for the dead among Kormoran's crew in the Laboe Naval Memorial. Disputes and investigations continue, making the battle between HMAS Sydney and auxiliary cruiser Kormoran one of the most enduring mysteries of World War II. 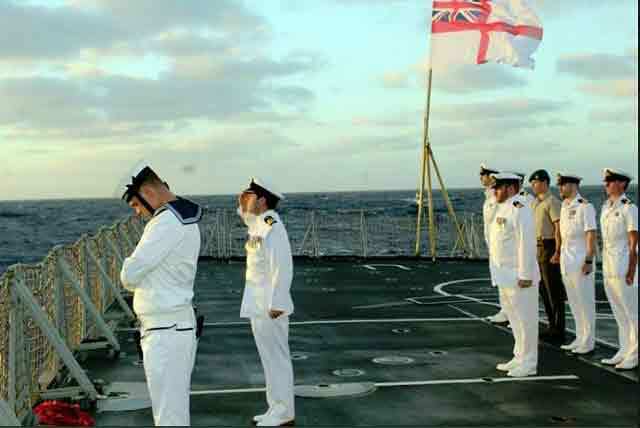 Men of frigate HMS Sutherland pay their respects to the men of HMAS Sydney.